The LEI is often hailed as a leap forward in data standards, but with an estimated 250k still needing to be registered in the next 4 months the industry is heading for problems. The 20-digit alphanumeric ISO 17442 code used to identify a Legal Entity, has been adopted as the global standard. This identifier first came to prominence in 2013 where it was utilised to identify counterparties for Dodd Frank reporting. The LEI has increasingly been adopted across a number of reporting regulations including from 3rd January 2018, MiFID II. ESMA has embraced the usage of the LEI. As an industry, 554,751 LEIs have been created as of September 20171, this is in stark contrast to the number of legal entities the regulators themselves expect to have LEIs prior to the MiFID II go-live date of 3 January 2018. HMRC already state that 162,000 trusts made self-assessment returns for the 2014-15 tax year2alone, with most of these requiring an LEI. This number does not even include charities, LLPs and other corporate bodies which are predicted to take the global LEI database closer to a record of 7 digits. The industry believes 250,000 LEIs could be outstanding therefore, putting an increasing pressure on a process which already is under a tight deadline. Doing the simple maths, it is evident that an immense number of LEIs are still required and firms should be acting now in order to ensure they have LEIs in time. The mantra from the FCA and ESMA is crystal clear; no LEI no trade. This makes it loud and clear to firms what the regulators are expecting under MiFID II. Where firms may have been looking to wait until later on in the year to request an LEI or even until the regulation goes live, they should be forewarned that the regulators have anticipated this and instructed the ARMs to ensure appropriate validation is in place when transaction reporting. One of the validations which will be applied by the ARM includes checking the trading date time field against the creation time of the LEI. If the LEI has been created after the trade has occurred, it will fail the validation. A recent poll by UnaVista revealed from 602 respondents, only 22% believe that 80% or more of clients have the LEIs that they need. It is noteworthy that the majority of firms fall within the sphere of less than 40% of clients having the LEIs required. With so many LEIs still to be requested and with the regulators making it clear that they are mandatory, why are firms delaying requesting LEIs? We think there are a number of factors at play. Additional fields providing clarity on parent child company relationships have been introduced from 1 May 2017 by ROC as part of the level 2 data requirements. These changes by the ROC to the field requirements have added additional complexity to the application process. Firms were already contending with other elements of MiFID II, which pushed LEIs further down the priorities. Firms chose to wait until after this time to ensure they are capturing all required fields to request an LEI. Firms have expressed a desire to not pay for LEIs before they are required. Although the regime is run by Local Operating Units (LOUs) on a cost recovery basis, when firms are required to obtain hundreds or thousands of LEIs the costs can add up, especially as there is an annual renewal cost. This is a dangerous game to play considering if all firms wait until Q3, the LOUs may struggle to issue the LEIs which are required under MiFIR within the deadline. When LEI requests are sent to a LOU they need to be verified and due diligence applied to maintain the quality and accuracy of the GLEIF database. This is a manual process and each entity takes approximately 25 minutes to verify providing the details are complete. This could also pose a challenge to firms, as they may not allow sufficient time to incorporate these into their own infrastructure in accordance with for the MiFIR go-live. Firms often share many of the same clients and are reluctant to take on the obligation of requesting these LEIs for clients benefitting other firms who would be then able to utilise them at no cost. However, firms need to realise there is an inherent risk in leaving the obtaining of an LEI to someone else. It could result in firms no longer being able to trade with that client who does not have an LEI. Firms also need to be aware that the GLEIF have been very vocal recently, stipulating that they and LOUs “cannot guarantee that LEIs will be issued in time for MiFID II/MiFIR to apply, if registration is delayed until the fourth quarter of 2017.” Thus, encouraging firms to get an LEI as early as possible. The market is already seeing firms tackle this challenge head on in different ways. One approach from some buy side firms is to request the LEI on behalf of clients, ensuring they are in control of the request process and to guarantee that they are able to trade with them come 3 January 2018. All a firm needs, is to provide the necessary authorisation from the entity itself in the form of an authorisation letter and then they can take on the burden. How firms account for the cost with their clients is still being formulated and can raise administrative challenges for many buy side firms. Alternatively, other firms have made contact with their client base and have asked them to obtain the LEI themselves. 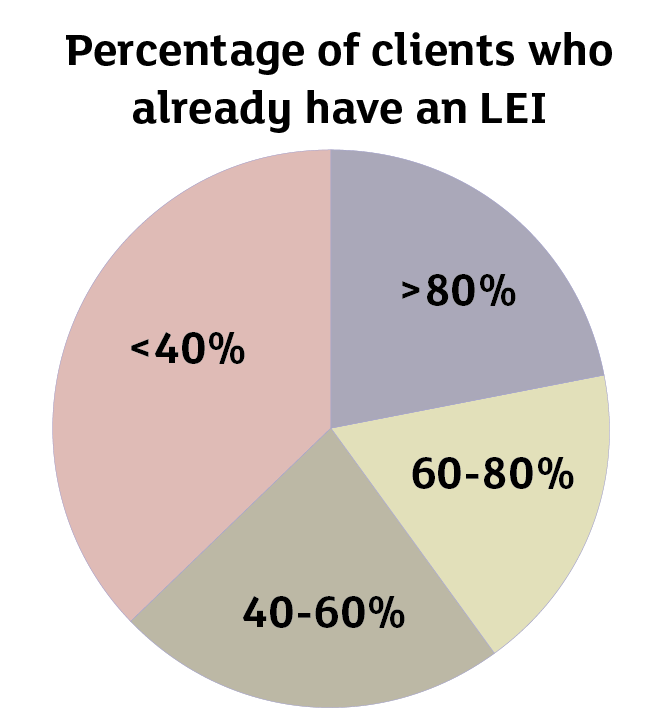 This process itself presents one of the challenges, with firms needing to start an outreach exercise for all clients inside and outside of EEA in order to educate their clients on what a LEI is and why it is required, as some global hubs such as Asia may portray reluctance on why they need LEIs. 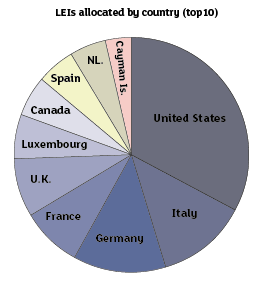 Many of the existing LEIs are within the EEA. If the firms cannot guarantee that their clients do not acquire an LEI for that entity, it means firms will no longer be able to trade with that client, therefore leading to the loss of business. It is often argued that MiFID II does not require LEIs to be renewed, much of the industry have raised requirements around renewals and wrestled with the ESMA vs GLEIF requirements on renewals. The renewal rate currently stands at 70%. In September, there were a total of 554,751 LEIs registered whilst in July more new LEIs were registered in comparison to lapsed identifiers for only the second month running, according to GLEIF. The validations attached to MiFIR transaction reporting make it clear that the status of the executing entities LEI cannot be lapsed – i.e. it has to be renewed on an annual basis. Furthermore the LEI has not been solely designed for the purpose of MiFIR and an entity with an LEI can fall under more regulatory requirements where the LEI does need to be renewed. It is GLEIF that determines the rules around the LEI and GLEIF stipulate that the LEIs must be renewed on an annual basis. With less than four months till go-live, MiFID presents enormous amounts of complex tasks for firms. Obtaining LEIs for clients should not be one of them. It is a comparatively simple task and the message from regulators is clear: no LEI, no trade. Firms need to act now.